2015 Topps Limited Baseball Complete Set applies 2015 Topps Baseball to a thicker card stock and more limited run. 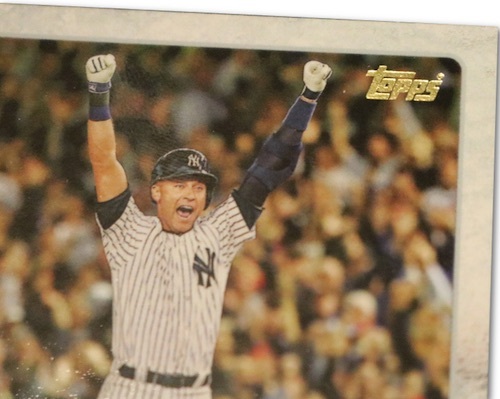 Although there is already a factory set for flagship 2015 Topps Baseball, the set takes things up a notch with a higher-quality offering. Comprising the 700 base cards found in the Series 1 and Series 2 sets for Topps Baseball, the cards are all printed on premium, 24-point stock and feature gold foil. This includes the Series 2 rookie card for Kris Bryant. However, the set does not include the Update Series cards. The sets each come in a special white box. 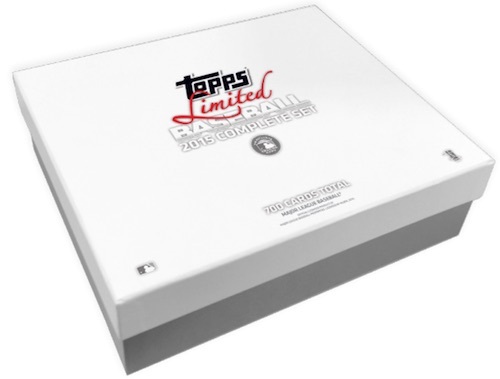 Exclusive to Topps' online store, the product comes with a price tag of $100 per box and is available now. Packaged with the Limited name, the overall print run is reportedly less than 1,000 sets. 2015 Topps Finest Baseball Complete Set (1-100) FREE SHIPPING! QTY! MARIANO RIVERA TOPPS CARDBOARD ICON SET 2015 #9 10 VAULT NY YANKEES GREAT! TOPPS 2015 FACTORY SEALED COMPLETE BASEBALL SET "HOT ROOKIES"
The gold foil really makes these cards pop, especially for the future stars cards. Very nice quality. I arrange this set by team in a binder rather than by numerical sequence for flagship. Wait for a discount, never spend $100.